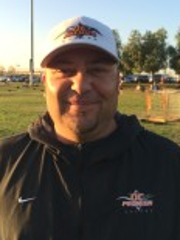 As the Orange County Premier Program Director, Erick Hurtarte is responsible for all on-field activities at OCP. 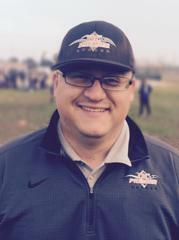 Prior to being named Program Director in 2008, Erick served as the Assistant Director of Coaching and has coached numerous teams in his nearly ten years at OCP. Erick coaches our G2007 Orange and G2002 Orange teams. 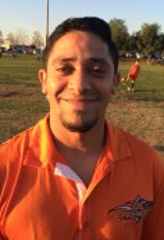 In addition to his Program Director and OCP coaching duties, Erick is currently the Head Coach for the Cypress College Women's Soccer and also serves as an Assistant Coach at Sunny Hills High School (Fullerton). 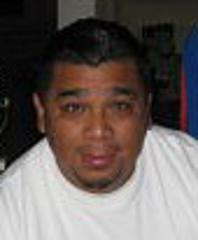 Erick has also been an assistant coach for Fullerton College, Rio Hondo College and Saddleback College. As a collegiate player, Erick was a captain at Chapman University and was named first team All Far West and First Team All-American. 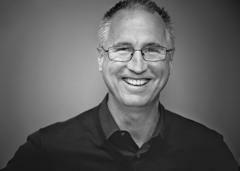 Kevin has been developing his coaching skills and credentials for over 20 years and during this time he has forged relationships and friendships with college soccer coaches throughout the United States. Additionally, Kevin's soccer relationships in the southland will also benefit our talented players as it relates to the Olympic Development Program and the Women's National Team. 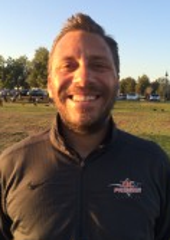 Kevin will coach OC Premier's G03 Orange and G04 Black Teams in 2015. Coach Javier grew up and was formed as a player, teacher and coach in the soccer fields of Orange County, and especially as an outstanding youth player in the renowned Hispanic league. In the late 1990s, while still attending high school at Rancho Alamitos High, Javier co-founded, played and years later coached Alianza Azteca, a semi-professional Orange County team. After winning a semi-professional championship, and becoming a father, Javier turned his attention to developing the skills of youth players. By 2008, Alianza Azteca Soccer Club was considered a youth soccer powerhouse within the Orange County Hispanic community, and Javier was instrumental in the club's growth and the players' development. In addition to gaining enormous coaching experience and achieving remarkable on-field success with that club, Javier was instrumental in developing numerous young players who now proudly represent and play for Premier. In five amazing years with Premier, Javier's teams have consistently produced exceptional individual and team results and have quickly risen amongst the top talent in their age groups. The success is a reflection of Javier's experience, skill, commitment, and passion for soccer and his ability to channel it towards identifying, training, and developing our emerging players. Erik currently coaches our B07 teams (and several of our B2008 players); both of which are having Erik has been with our club for several years, developing players in both our Premier and Recreation programs. 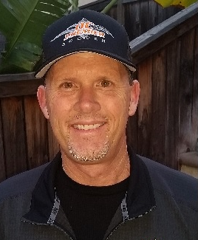 Erik brings with him both experience as a former competitive player, but also as a head coach at the high school level (Northwood High School, Irvine) as well as the club level, having been a head coach of several successful local club teams. Erik was also the director of a successful "Friday Night Futbol" program for several years; expertise we have enjoyed at our Friday Skillz sessions. Ismael currently coaches a successful B05 team as well. A product of Orange County soccer clubs, Ishmael was a standout player at Anaheim High School. Ishmael led teams at a neighboring soccer club before we were able to successfully recruit him to Premier a year ago. In that year, he demonstrated both technical and tactical expertise, as well as, a keen ability to translate that expertise to our younger players -- which is indeed a talent. Having completed an impressive 2015 campaign, including staffing camps, tryouts and Friday Skillz sessions, we are confident Ishmael has the skill set that matches up very well with our B2005 players. 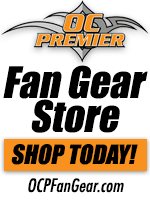 Jim brings over a decade of youth coaching to Premier. With a focus on player development, he has proven to be a perfect fit transitioning players from our Recreation program to Premier and then advancing them as competitive players. Jim's passion for soccer started during his youth in Los Angeles and continued through high school and the intramural leagues at Cal State Fullerton. In addition to his experience as a player and a coach, Jim is also a competitive level referee and was State Cup Certified. A constant fixture on our fields, you've likely seen Coach Jim at Premier Academies, Friday Night Skillz, tryouts and many other offerings. Always willing to give of himself, Jim is both a terrific coach and role model for our emerging stars. Lastly, Jim earned his United States Soccer Federation D License in 2014. Oscar currently coaches our Boys 2003 Orange team. Raised in South America, Oscar grew up in a very involved soccer environment where he learned the dynamics and acquired the passion for soccer. As was the norm for his community, he first learned to play in the streets of his neighborhood, then was skilled enough to progress to through the highly competitive high school ranks. The spirit, skill and knowledge forged in such a challenging environment has led to an exceptional ability to identify, nurture and develop talent -- particularly that of our most raw talent. Getting his start at Orange Junior Soccer Club, Oscar's ability to recruit, retain and develop young players was quickly evident. After several successful seasons, Oscar was invited to share his time and talent at the Premier level. Oscar is motivated and looks forward to continue contributing to the development of the team. 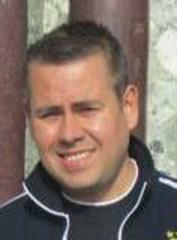 Steve became a Board Member in 2008 as the Director of Fields before becoming the Club President in 2011. Now as the Director of Community Affairs he looks forward to growing the club and making OC Premier one of the best soccer clubs in Southern California.